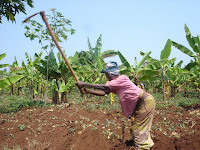 Beginning in 1999, the Government of Rwanda passed and implemented a series of laws, regulations, and policies designed to reform the land tenure system as well as grant women rights to own and use land on an equal status with men. While these new measures have led to some positive changes for women, the population continues to engage in behaviors inhibiting certain women from exercising their new land rights. In my article, "Procuring Meaningful Land Rights for the Women of Rwanda." published this year in the Yale Human Rights and Development Journal, I investigate the underlying causes of these behaviors – analyzing laws, reports, and data from my own field work – and consider legal and policy solutions to address them. 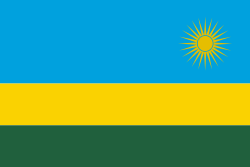 Land reform and gender equality have been important aspects of Rwanda’s reconstruction and development after the 1994 genocide. (Rwanda photos of agricultural land, above left, and worker, below right, by Aparna Polavarapu) Land reform was prioritized as an important component of the country’s economic and conflict-prevention goals. In addition, the country has taken affirmative steps to ensure create gender equality. With respect to land reform, women were legally granted, among other things, rights to own, use, purchase, sell, inherit, and administer land. 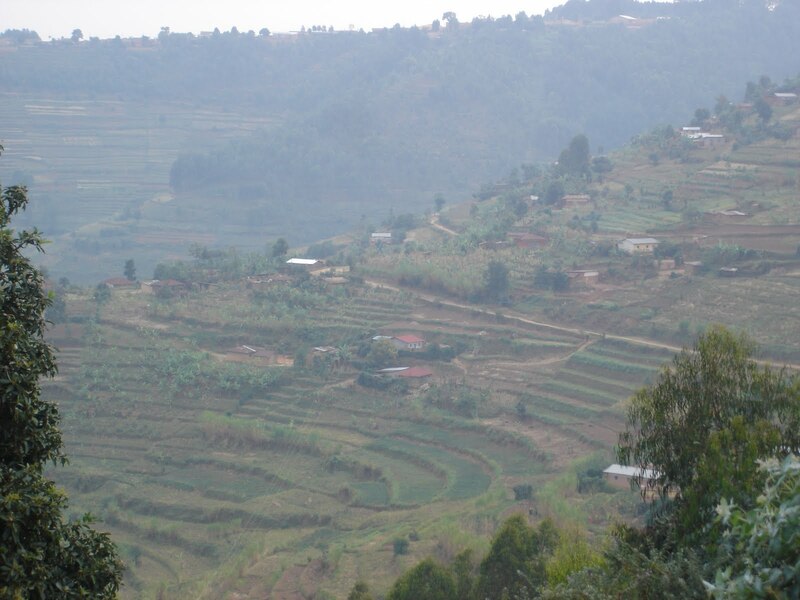 Historically, Rwandan women only had access to land through male relatives. A daughter typically did not inherit from her father, under the theory that when she married, she would live and be provided for on her husband’s land. If her husband died, she was granted the right to use her husband’s land until her sons became old enough to inherit the land. If she became widowed without having borne her husband any children, she was denied any rights to her husband’s land unless she married one of his brothers, at which point that brother became the new owner of the land. Alternatively, she could return to her natal home and ask her brothers or father for some land on which to live and cultivate. Similarly, a woman who was separated, divorced, or never married was able to ask her brothers or father for land to cultivate. Whether or not these women were actually able to rely on their male relatives in the past, in the face of increasing land scarcity, such women could find themselves landless, homeless, and destitute. As land scarcity grew, brothers and fathers contested such obligations to their sisters and daughters. ► Grant widows the right to inherit their spouse’s property. 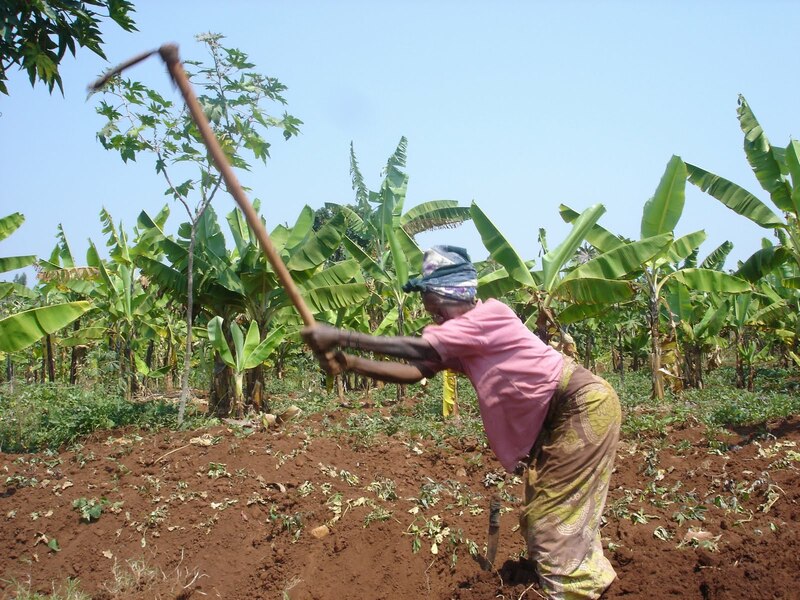 While these new laws have had positive impacts for many women, some women continue to have difficulty accessing land. ► Persistence of informal marriages, in which wives remain unprotected by the new laws. In my article, I explore these behaviors in-depth, seeking to understand the causes of such behaviors and consider what legal and policy solutions can address them. ► Resistance to allowing daughters to inherit land from their parents is directly connected to land scarcity. Parents (usually fathers) have to make choices about who can inherit land, and tend to go with their sons due to traditional conceptions of who the breadwinner of a family is. ► Other laws in Rwanda reinforce notions of male superiority, thus supporting fathers’ decisions to allocate land only to their sons. For example, the civil code specifically states that if a husband and wife disagree about a family decision, the husband has the final word. ► Women are entering into common law marriages and polygamous relationships, because they lack the economic and social power to demand formalized, monogamous marriage, even when they know the latter better serves their rights. The government can take steps beyond awareness-raising to address these issues. Laws reinforcing unequal gender norms can be repealed. Common law wives would benefit from the enactment of a law recognizing common law marriages and according certain rights to the spouses therein. These issues raise more questions than answers, but the conversation is necessary if increasing women’s access to land is a true goal.